We love food. We love to eat it. we love to cook it. In our eyes, it has been elevated to art. Thanks to Slow Food St. Louis and a bevy of sponsors, you too can experience the Art of Food at this special event on Friday. 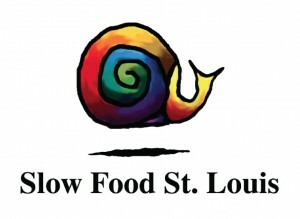 Slow Food St. Louis is a non-profit organization dedicated to celebrating and supporting local food traditions. Throughout the year, they work to produce educational events, films, Truck Farm visits and tastings. They also sponsor the Small Farm Biodiversity Micro-Grant program, though which they have been able to give generously to local, sustainable farmers, enabling them to grow or raise more than 250 different heirloom varieties of produce and heritage breeds of animals. The annual Art of Food is a fundraising event that benefits those programs through Slow Food St. Louis, and it seems like just yesterday that we did this — this is our fourth year, in fact. It’s a fantastic event, where you can sample bites from local chefs who prepare them in the slow food tradition. Many of your favorites will be on hand this year, including Maplewood’s own Cassy Vires of Home Wine Kitchen and Table, and many others Kakao will be sampling a surprise treat, and we’re looking forward to seeing you there! Also at the event: a silent auction of local food gift baskets and art pieces, a street fair outside the venue where guests can learn about event sponsors and local food culture, a cash bar and tastings from local wineries and breweries. For more information and to purchase tickets, visit slowfoodstl.org.